Home Culture Is Dayton The World Capital of Funk? Is Dayton The World Capital of Funk? With a royal lineage like the Ohio Players, Slave, Zapp, and Junie Morrison in the history books, it’s hard to deny. But can so much musical sweat be contained in a Gem City Funk Hall of Fame? We’ll know when they tear the roof off the sucker. It’s a quantum science kind of math problem, the kind no slide rule can solve. If you have a room the size of a Starbucks, how much cubic funk can you fill it up with before the walls start to buckle? One man in Dayton has been struggling to find out. The Funk Music Hall of Fame and Exhibition Center, a labor of love many years in the making, has been collecting mementos and record albums from those who gave us the funk. It’s a laudatory if quixotic task, considering the countless artists who can reasonably claim funk bona fides. But the endeavor received a noteworthy boost when musician George Clinton signed on as a supporter this spring. If you’ve got the endorsement of Dr. Funkenstein himself, you are on your way. Now this groove’s so funky, hey, what do you think? What is it called? Let’s call it Lakeside stank. To be honest, not many museums provide patrons with an appropriate aroma. 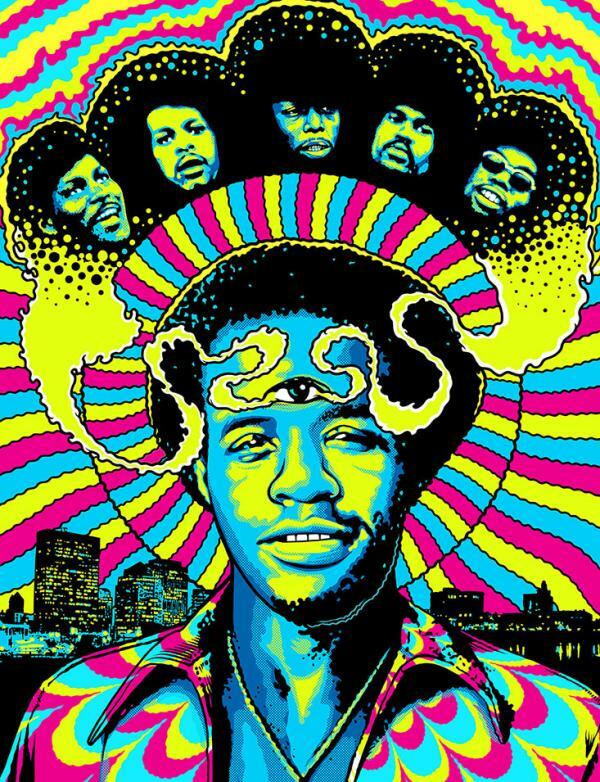 Let’s hope the funk museum at least lights a scented candle from time to time, as it celebrates a music that Dayton did as much as any city to create. David Webb, the museum’s founder and CEO, is a towering straight-shooter with a gleaming dome. The license plate on his Lincoln Continental reads 2DEITY—probably because “2 God” was already taken—and Webb displays a religious fervor appropriate to the subject at hand. Back in the day funk was a bad word, he notes—something a DJ would risk suspension simply for saying. “But funk is from the heart and soul,” he adds. In the right context, it is even a form of praise. It has, however, also been known to bruise some egos. At least three groups have launched rival efforts in Dayton over the last decade to celebrate the sound, and at times legal threats bounced between them. There was Webb’s Dayton Funk Dynasty Group, which held a press conference in 2013 with musicians and the city’s mayor announcing a campaign to raise $10 each from 10 million people to make the establishment a reality. There has been the Land of Funk Experience Inc., which wanted to run a museum. And then there is Wright State University, which has been collecting material on the local funk scene in recent years. Photograph courtesy Horace Dozier Sr. But Webb is the last man standing, and he seems driven to get the doors open. “Everybody has ideas—but if you don’t put it to work it’s nothing,” he says. “We put our idea to work using social media, radio, and television to get the word out, and people have jumped on it. We’re a grassroots movement without a budget.” According to Webb, who has retired from a job with the state to devote himself to this project, he has drained his savings, putting some $70,000 of his own money into the establishment. Folks have been saying for years that a museum was months away. Earlier this year, Webb announced a soft opening in late May, but has since revised that target date. Now he’s saying maybe this summer. Whenever the Funk Music Hall of Fame and Exhibition Center gets up and running, Webb envisions it as a place to enshrine the music, as well as a community center with meeting spaces and an educational component. He sees it as a celebration of funk on a global level. That’s ambitious, all right, but it’s not crazy. Because if any place can call itself the world capital of funk, it’s the Gem City. Just an hour away from Cincinnati, Dayton was an unfathomably fertile musical town in the 1970s and 1980s. What Seattle was to grunge music, Dayton was to funk. 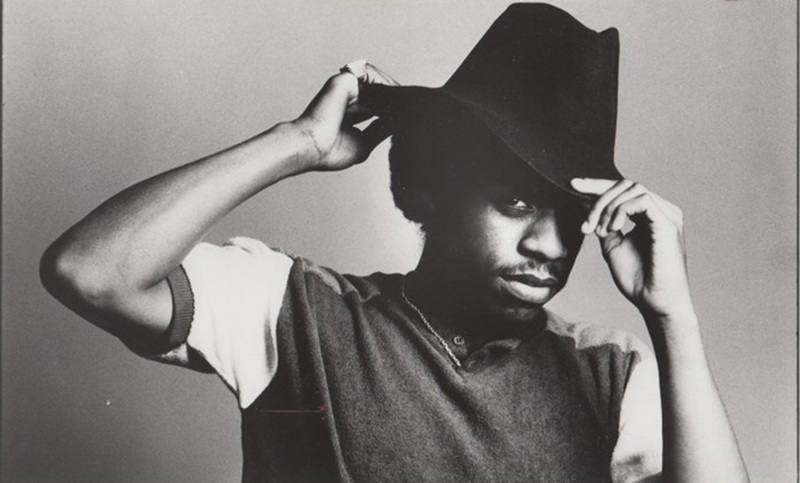 Between the peak years of 1975 and the early 1980s, there were 11 acts from the city on major labels, including the Ohio Players, Junie Morrison, Faze-O, Dayton, Sun, and Platypus. (Do not forget Platypus.) There were documentary films, and museum exhibitions, and a sizeable archive of oral history material that is, for some reason, housed today in Indiana. It was Dayton funk that gave the rap music of the ’90s the chrome wheels on which it rolled, particularly the G-Funk of the West Coast. Samples from Dayton became the underpinnings for countless hip-hop hits—and the music is still being harvested. In the 2015 movie Straight Outta Compton, when the actor playing the fledgling rapper Ice Cube auditions to join NWA, the soundtrack is playing smooth R&B. “Yo man,” Dr. Dre says, “go get ‘Weak at the Knees’ ”—meaning the song by Daytonian Steve Arrington. Ice Cube freestyles for the first time over Dayton funk, and the selection shows how much of a clean break the sound was from the R&B that preceded it. Basim Blunt grew up in Jersey City; today he has a Friday night funk show on Antioch College’s WYSO. He can remember standing in line in the rain for tickets to see Ohio bands like Heatwave and the Ohio Players at the Apollo Theater in the 1980s. “It was a big thing when they came to the Big Apple. And when I came to Dayton, people didn’t flaunt it,” Blunt says, leaving a note of disappointment hanging in the air. It’s an old story—the prodigal Suns taken for granted at home. But maybe a blasé attitude comes with growing up with genius; it becomes easy to see it as the norm. Evidence: Steve Arrington is sitting in a booth in a Cheescake Factory just outside of town. I repeat: Steve Arrington is right there, in the Cheesecake Factory! For anyone who had their ears pinned by funk in the ’80s, a Steve Arrington sighting is like seeing Johnny Bench on your way to work. He started out as a drummer in the Escovedos, but quickly joined the band Slave, and took the microphone almost as a lark, only to discover he had a quirky voice that got over with an audience. Pretty soon he became a frontman for the band, and then a solo artist. 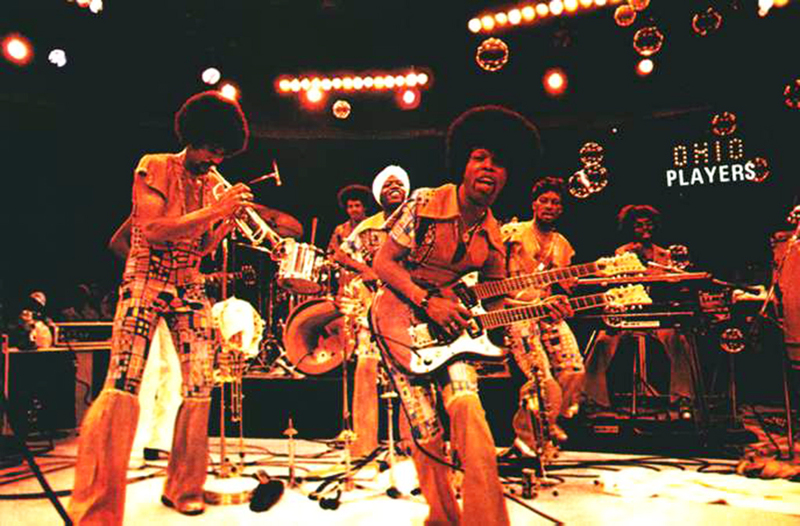 Arrington points out the obvious, but he says it with the considerable authority at his disposal: When you talk about Dayton funk, you must speak first of the Ohio Players. And then he caveats his comment. “When they hit, they hit big, they were one of the biggest groups in the world,” he says. “But when we all came behind them, it wasn’t with ‘the Ohio Players sound,’ it was ‘the Dayton sound.’ They were so unique, and what we took from them was that we have to be unique, too. That was the way to honor the Players. Platypus, when they walked among us. The Players started in the early 1960s, as a blues-soaked R&B club band. In his book Ohio Players: The Early Years, Webster traces the group’s rise from a band called the Ohio Untouchables that featured guitar wizard Robert Ward. Ward could be a difficult taskmaster, and most of the band bailed on him to form their own group, one which featured a core of musicians from Dayton and Hamilton. They played constantly; Webster writes of driving from Cincinnati to Hamilton to Dayton and back in a day in order to make rehearsals, then that night’s shows, and then sleeping in your own bed some time after. 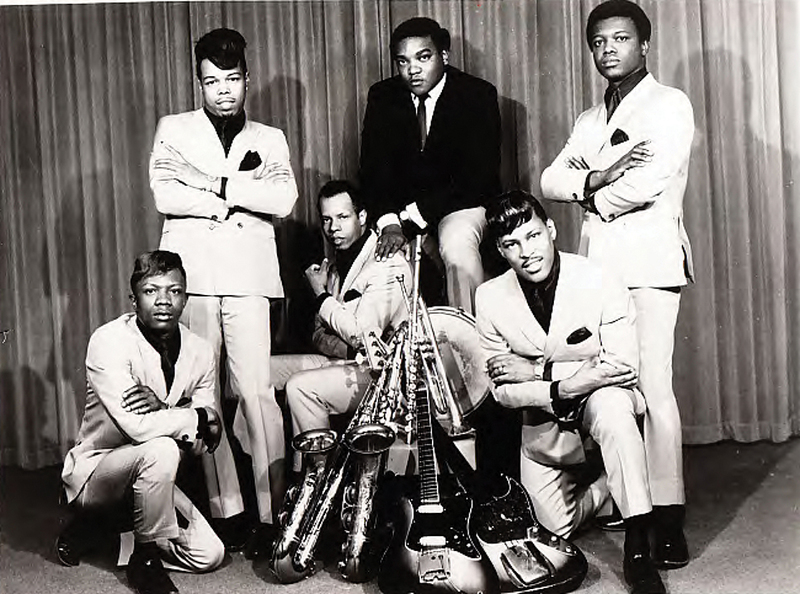 The Ohio Players in repose in the mid-’60s. On their own they renamed themselves the Ohio Players because, Webster says with practice, that’s what they wanted to be. 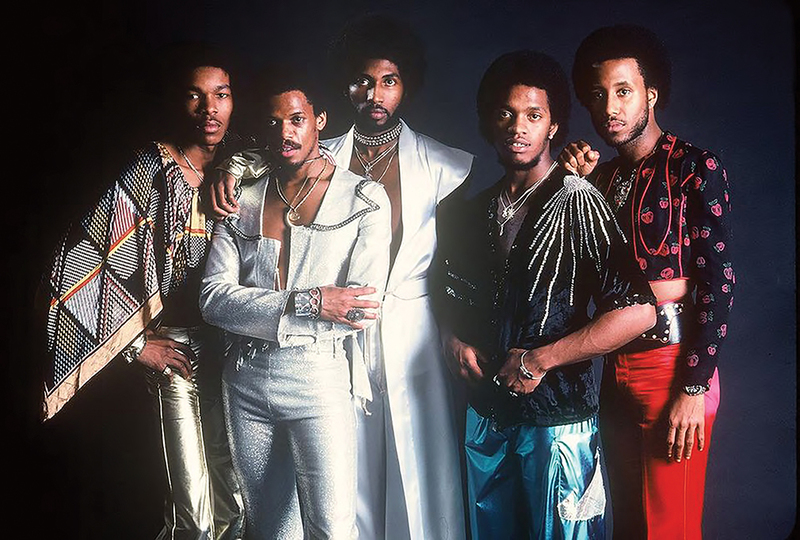 They went through a variety of lead singers before deciding to do their own singing—an instrumentalist-first affirmation that would push to the microphone guitarist Leroy “Sugarfoot” Bonner. His friends just called him Foot. Bonner was the pride of Hamilton and a man whose vocal monogram, his greasy-sweet “Awww girl,” has been picked up by countless singers down through time. Being a band and playing live shows across the Midwest for more than a decade helped them get good. Basim Blunt spent a lot of time with the band’s late bassist Marshall “Rock” Jones, who told him how they knew when they were getting over with the crowd. In the 1970s, when soldiers were returning from Vietnam and bringing drug habits home with them, Jones said they would watch the vets, leaning against the walls of a club, and see how they moved. When they pushed away and started snaking to the beat, that’s when Jones knew the band was in the pocket. And when their string of hits—“Funky Worm,” “Skin Tight,” “Love Rollercoaster,” “Heaven Must Be Like This,” “Fopp”—washed over a crowd, the Players didn’t just become a sound, their sound became a place: One where pleasure and pain, the sounds of the storefront church and the street corner just outside it, came together in the light of a revolving mirror ball. It wasn’t so much tension and release, the way of the soul music that preceded it, as glide and slide. One place Williams does not particularly expect funk to reside is within the walls of a museum. Don’t get him started on this topic, unless you have the time. “I hate to rag on what’s going on but I tell you what: I am not in no museum. I’m still alive,” he says. “And I want to educate people not to be in a museum but to literally go to these gigs. I want to tell these kids about what went on during these times. You don’t need to listen to no digital media when I’m here to tell you and show you! I’m playing the Hollywood Bowl this summer and NASCAR events. Are you getting this? If the Wright Brothers were here today and you asked Orville and Wilber would they prefer to be in a museum or be up there flying, what do you think they would say?” He waits for my answer. “Did I say we get paid for this?” he asks, before concluding with gusto: “We doing the San Mateo County Fair!” The evolution of the Ohio Players, clearly, is ongoing. They had hired him to play keyboards, but soon enough he was also singing and writing songs and acting as their music director. He would write a song, stay up playing all the instruments to make a track to show the band, then get the band in the studio and teach it to them the next night. He was with the Players from 1969 to 1974, and when he left, it was with the expectation that he was going to launch a solo career that would make him a star. He made three albums for the Westbound label, based in Detroit, and while they are all quite good, there were no hits. One night while driving home from a gig in Columbus, he was in a horrific car accident. The driver of the van he was in fell asleep at the wheel, and in a head-on collision Morrison was thrown through the windshield. When the ambulance arrived he was in a pool of his own blood, his legs severed at the knees. Doctors were able to reattach his legs, but Morrison walked with significant pain after that. The experience had contradictory effects on him. His wife, Kate Garner, explains it this way: “He said [at the time of his accident] he came out of his body and he was floating above his body and he could see his van and the driver being impaled and see the driver dead; then he slipped back into his body. In [the] hospital he kept slipping out of his body…he would come out and see through everything and see the people and then he would slip back in.” Garner, who was a singer in the British pop group Haysi Fantayzee when they met, says Morrison was a complicated mix of rawness and growing spirituality. After his accident he joined George Clinton’s Parliament-Funkadelic band in the late 1970s, playing keyboards on tours and records, and cowriting two huge singles, “One Nation Under A Groove” and “(Not Just) Knee Deep”—though he did not receive writing credit on the latter. He wrote a great deal more for Clinton, and deeply shaped the P-Funk sound. Everything: Even after being on huge records and tours with Clinton, Morrison was broke. By the early 1980s, he was delivering the Dayton Daily News and pizzas, and was driving around town with his keyboard, playing at bars on the periphery of Wright Patterson Air Force Base. Garner says he had a way of looking when he was angry: a cold smile through which you saw all his teeth. That’s probably how he looked when he was back playing the dives of Dayton. In the last decades of his life, Junie Morrison bounced back. He hired a rough but effective British music bizzer to help root out money that was due him. He produced John Tesh and James Ingram. And Solange Knowles’ album A Seat At the Table went to the top of the charts in 2016 featuring a song titled “Junie,” written in tribute. Some say he was living in London. What’s certain is that he kept a very low profile in the real world while maintaining a fairly lively profile on the web, where he posted a loving tribute to Charles Spencer, his old music teacher at Roosevelt High School, on JunieMorrison.com this past January. It has been said that every band in Dayton that went on to snag major label deals (including Platypus) had students of Spencer’s in them. Spencer was one big thing the Dayton scene had in common. Everyone, including David Webb, says he was a great teacher who made his kids read music and study theory. He also staged battles-of-the-bands to raise money for school. The funds were good for the musicians but so was the competition; it helped the players hone their skills and grow an audience. Morrison recognized Spencer’s importance, but a great teacher—or a group of them—by itself doesn’t explain why Dayton was to funk what Seattle was to grunge. Scot Brown is an associate professor at UCLA. The guy isn’t even from Dayton; he just happens to have fallen in love with the sound of the city and has been studying and writing a book on Dayton funk for over a decade. (He says it will be out in the next few years—he’s gotta get it right.) But even one conversation with him indicates how deeply acquainted he is with the music history of Dayton. One huge thing Brown’s research shows is how social institutions in Dayton provided fertile ground for the musicians: the scene didn’t bask in the benevolent glow of one superstar à la Prince in Minneapolis. He makes a case for a wave of small influences, the kind no “great man” theory takes into account—band battles that sharpened artistry and passions; showbands, hard-working acts that were as visual as they were musical; dancing, sometimes clowning, theatrical acts that put butts in seats and got a musician a paycheck. Dayton even had show wagons—publicly-funded platforms for bands to play in city parks. It was about things like roller rinks, where DJs would introduce local acts to skaters, who passed the word on to little sisters and brothers. In short, Brown shows how a lot of little waves in alignment can make one big vibration. Dayton has yet to recover from its decades-long loss of manufacturing jobs; the population has declined by more than 25,000 people since 2000. Still, spend time with Hall of Fame CEO Webb and you’ll wonder how much might be possible if Dayton can reignite the potential of people power. Webb says he’s waiting for local agencies to sign off on permitting before he schedules an opening. He envisions a weekend-long party, featuring music at the local nightclub institution Gilly’s and then a Saturday ribbon cutting. Today the Fire Block District, where the funk museum resides, is a product of social forces, too: buildings in disrepair, businesses struggling to stay open. Funk isn’t going to turn around the forces that did it in. But it can be a reminder of what a city with resources and homegrown genius can do when it finds the spaces between the beats.